I would love to tell you that it’s easier than it looks, but that would be a lie. It’s natural for a first time Moms to get overwhelmed about her journey over the next 9 months and the unknown. Even though it’s not a cakewalk, it can be easier than it would have been otherwise if you prepare yourself ahead of time mentally and physically for what’s to come. 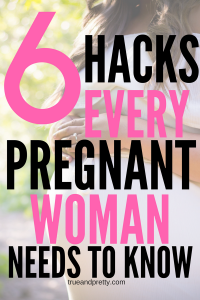 Many women spend hours and hours a day researching and obsessing over what to eat, what not to eat, best positions to sleep, or even if the sandwich they ate last night could potentially harm the baby. But the first tip, I would give to soon to be Moms would be to limit your research and lean on your Doctor for advice when you have a question. They are trained professionals and will guide you in the right direction if you are unsure or have any worries. And it may help you be less anxious overall. If you’re anything like I was, I had what you would call; “me too syndrome”, every potential harmful thing, I would say “me too.” But, that wasn’t the case, while my pregnancy was no walk in the park it wasn’t horrible either. Take it from me, (if you’re a newbie) relax, and enjoy the experience. The days are long but the years are short. Nutrition for you and your baby are a vital part of the process. It’s important to have good nutrition and take your prenatal vitamins even before pregnancy. This way you won’t have to worry so much about whether or not you’re getting the proper vitamins and minerals for you and your growing baby. Next on the list of tips is suggest would be to find a community of like-minded women who are expecting like you. 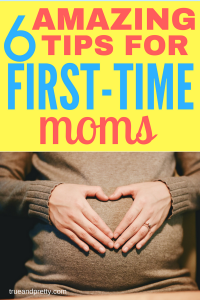 Although I would not advise spending hours a day researching, I would suggest that you find pregnancy/mom blogs or forums that have women giving their first-hand experiences about the things they dealt with during their pregnancies. Communities such as these provide an outlet for soon to be moms to express themselves and obtain advice from women who have already or may be dealing with the same things you are. Lastly, the biggest tip I could give you would be to find activities that help you limit stressors. It is easy to get anxiety during your pregnancy because of the range of different situations you may come across. I would suggest you do breathing exercises when you feel you are getting stressed or to get into a yoga class as well. The stretching helps your body adjust to the changes it is going through and the breathing will help you later on when you experience labor. During your pregnancy, you will experience many changes in your body such as heat flashes, increased hunger, extreme tiredness, and an ocean of emotions ranging from very high-highs and low-lows. Learn to accept that these situations will come about, and understand that they are only temporary and will pass. While we were pregnant, I suffered from sciatica nerve pain that came after a long car ride. It was debilitating. Another thing that tends to happen before the baby comes is the planning of the baby’s room, clothes, how much maternity leave you will take, who will watch your child and many other delicate issues of importance. While all of these topics are very important and certainly should be addressed, it is also important to take some time for yourself to relax. Maybe go out to a movie with a girlfriend or get a relaxing massage and kick your feet up. Because times like these will be few and far between when your child is finally born. Most importantly get lots and lots of sleep. It is crucial that you prepare yourself both mentally and physically for what you are about to experience. While it won’t be the easiest thing you have ever done, it will be one of the most rewarding. If you follow these steps I feel you will definitely have a smoother pregnancy.